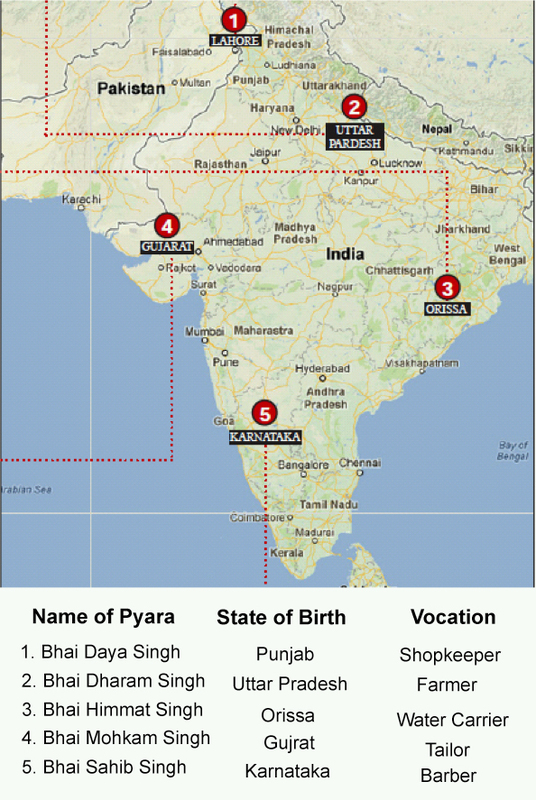 National Cohesion: In 1699, Guru Gobind Singh Ji, formed the Khalsa, by choosing the five Pyaras (beloved ones) from different castes, different locations and different vocations. This act reinforces the Guru’s much needed vision of creating a spirit of unity amongst all peoples beyond perceived boundaries of caste, vocation and ethnicity, and is an important value for India in the present day and beyond. 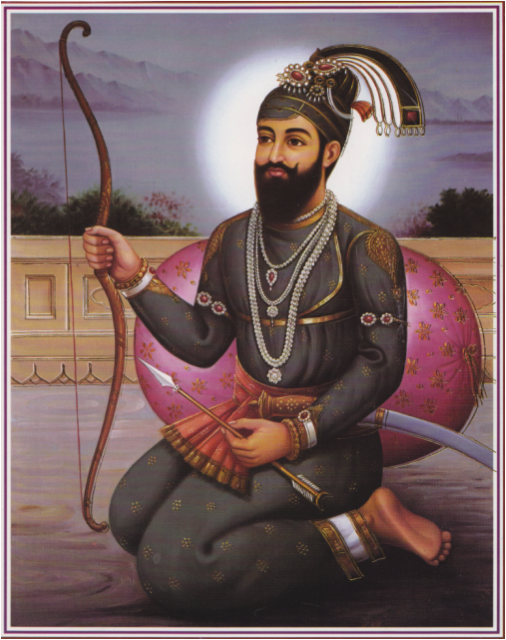 Freedom of Religion: Before becoming the tenth Guru, a young Gobind Rai, prompted his father, Guru Tegh Bahadur Ji, to make the supreme sacrifice in order to defend the rights of Hindu Pandits to practice their religion. During the Moghul reign of Aurungzeb, Hindu’s were being forcibly converted to Islam, and Guru Tegh Bahadur was executed after defending the Hindu’s rights to practice their own religion. Unparalleled in the history humankind, this willing martyrdom in the defence of another religious community earned Guru Tegh Bahadur the title of “Hind ki Chadur” i.e. The Shield of India. It has often been noted that this act, together with Guru Gobind Singh Ji’s formation of the Khalsa as “Saint-Soldiers” to defend righteousness, was a major factor in preventing mass forced conversions to Islam across northern India. India has a proud history of not just religious tolerance, but of religious respect, and the importance of Freedom of Religion is enshrined in the Indian Constitution. Sarbat da Bhalla (the good and welfare of all): Guru Gobind Singh Ji championed universal solidarity by proclaiming “manas ki jaat sabae ek hee paechanbo” (recognise the whole human race as one family) and Guru Ji’s further hukam: “sach kaho sun leho sabhae jin prem kiyo tin hee prabh paiyo” (all those who wish to meet up with God must exercise love for God’s entire creation) is a guiding light for us all to be inspired and motivated in pursuing global “Sarbat da bhalla”.